Global foreign direct investment (FDI) flows continue their slide in 2018, a United Nations agency said Monday while noting that China, however, bucked that trend and was the largest investment recipient in the world. The UN Conference on Trade and Development (UNCTAD) released its 2019 Investment Trends Monitor, saying FDI should increase in 2019, but that underlying trends remain weak. Global FDI fell by 19 percent in 2018 to an estimated 1.2 trillion U.S. dollars from 1.47 trillion dollars in 2017, said UNCTAD. The third consecutive drop brings FDI flows back to the lowest point reached after the global financial crisis, said James Zhan, UNCTAD's director of Investment and Enterprise. 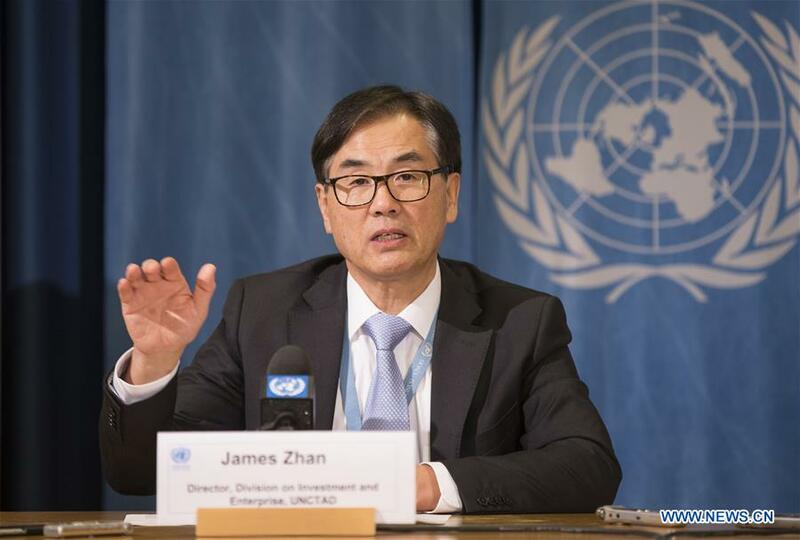 "Regarding China, for the first half of the year it was the largest investment recipient in the world," Zhan recalled at UN press conference here. Investment flows into China remained at a high level, "a stable" and steady, modest increase, "and each modest increase reached a new record level for Chinese investment inflows," said Zhan. He said the primary reasons that investment flows increased into China at a very high level included factors such as "further liberalization, particularly in the service sector" and in the financial sector, and intensified efforts for promoting investment in high-tech industries. "Last year was another record high level, and the prospects for a rise of FDI into China remain optimistic," said Zhan. Zhan, however, cautioned that the prospects for the global investment climate regarding economic growth prospects, concerning policy directions, geopolitical, political and economic tensions, the geopolitical risks "are all growing in a big way." He said that would make doing a prospect assessment for 2019 a challenge.